Girl is NOT a 4 Letter Word: See You Saturday At Exposure Skate! See You Saturday At Exposure Skate! Exposure Skate is hands down one of our favorite contests of the year. This girls and women's only skate contest draws in female skateboarders from all over the world to compete in vert, bowl and street. 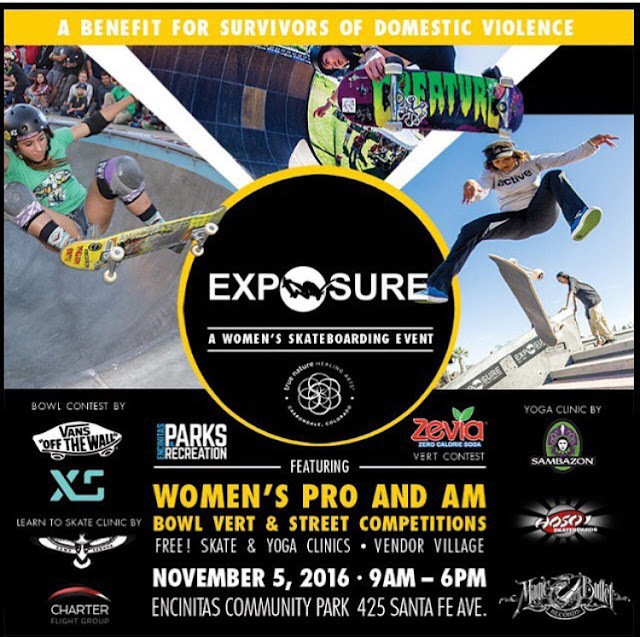 There are Pro and Am divisions, a yoga clinic, skateboard lessons, vendor booths, autograph sessions, food, music, and best of all, tons of female skateboarders. For girls in skateboarding this event is like a family reunion, as it's the one time you get to see all the girls together in one place. You also get to connect with girls who live half way across the world that you may only know from social media. The skating is insane, and it's just a really fun day with friends.